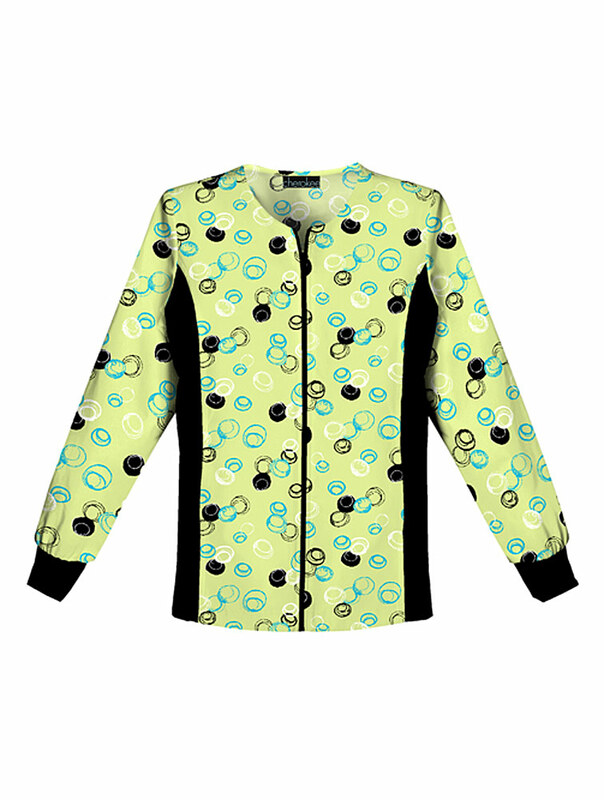 The Flex-I-Bles zip front jacket shapes and slims the body with its soft stretchy side panels. 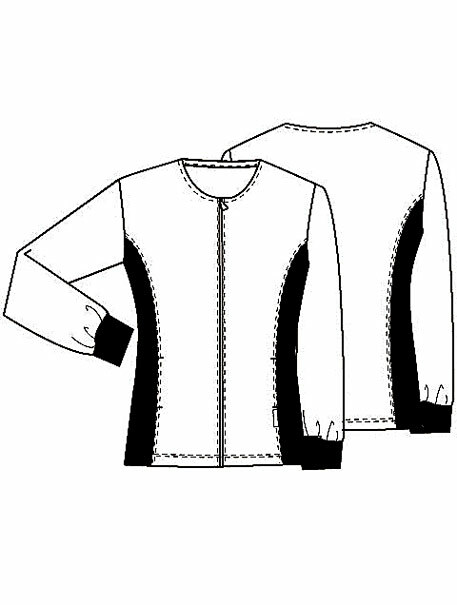 The knit cuffs, round neckline, and two front hidden pockets complete the picture. Center back length: 26"